In the Spring of 1958 the Skyline Fire Department began protecting the citizens of unincorporated Arapahoe County. Skyline’s district consisted of roughly one square mile of single family residences, a church and one school. The department operated with 100% volunteers initially; when Skyline closed it’s doors there was a paid staff of 3 firefighters who worked Monday through Friday 8 to 6. During it’s 50 year tenure Skyline maintained a steady group of volunteer firefighters, many moved on to paid positions with other metro departments. Skyline operated 2 Engines, 81 & 82. Cunningham Fire Rescue provided ALS transport services as well as an Engine for structural incidents. Glendale & South Metro would also respond through an automatic aid agreement when needed. The department saw two dispatch centers, first starting out with Littleton for many years. For a short time Skyline moved to Douglas County Dispatch, then back to Littleton again where they remained until 2008 when the department was shut down. 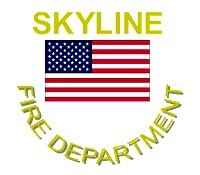 Skyline was a rarity in the south Denver area since they still accepted volunteer firefighters. Another rarity was Jake, a well known Dalmation who helped teach public education and even ran calls. Skyline’s annual incident volume was around 180. Skyline Fire Department was officially taken over by the Denver Fire Department in August of 2008. 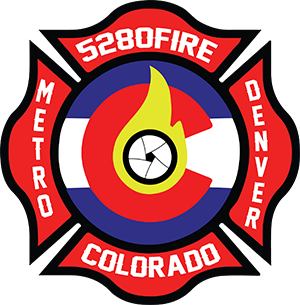 Due to its proximity to DFD Stations 22 & 24, the decision to close Station 81 was made.